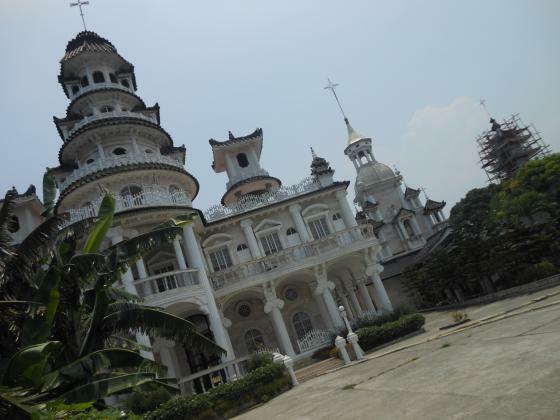 Home » Amazing Philippines » Amazing Lolomboy Town: Saint Andrew Kim Taegon Shrine--Writer's Retreat in Bocaue, Bulacan! in Lolomboy Town, Bocaue, Bulacan. 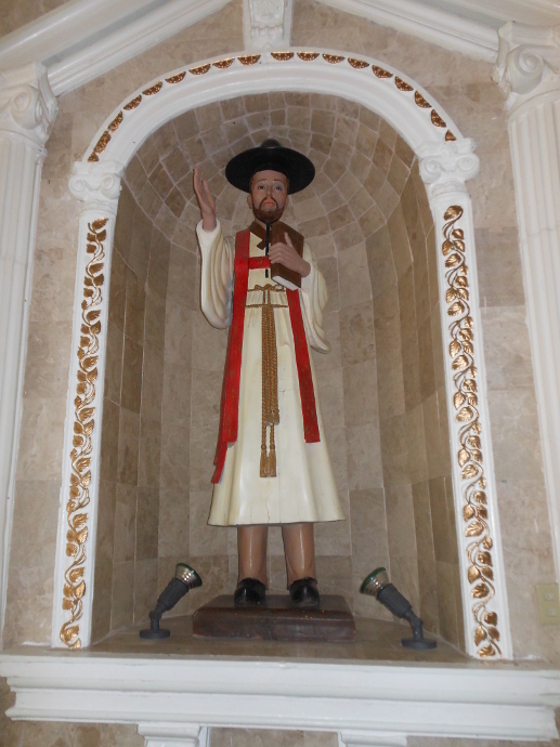 We discovered the Saint Andrew Kim Shrine over the web from local lakwatsero, Pinay bloggers enjoying a visit to Bocaue while exploring the meditation temple complex that also houses a chapel, a church and a meditation room as well as gardens and monastic quarters for the Korean Catholic missionaries who are managing the entire place. Figuring out that it would be a great place for a writer's retreat and also unwind for some soul searching--aka writing anything, we moseyed over to Lolomboy town via a summer jeepney ride from Monumento, Caloocan to Bocaue and enjoy the zen charms and accommodating nooks and crannies at St. Andrew Kim Shrine, for plopping down for a day of writing as one possible for meditating and recharging our soul while there. a huge parking area, the size of a football field. to the statue shrine of the saint. 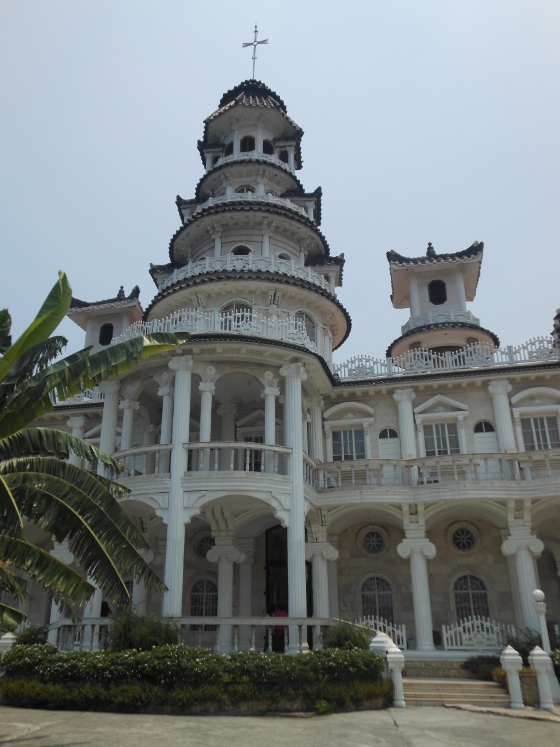 Saint Andrew Kim Shrine is a great place for scheduling spiritual retreats, school field trips, and your own private meditation solo visits--which you can do to recharge and sit down in a huge temple complex that may be one of the best writer's retreats you can find. But you go here to write on a journal and not on a laptop, because the latter would be a profane way to be hanging around a solemn and holy place. 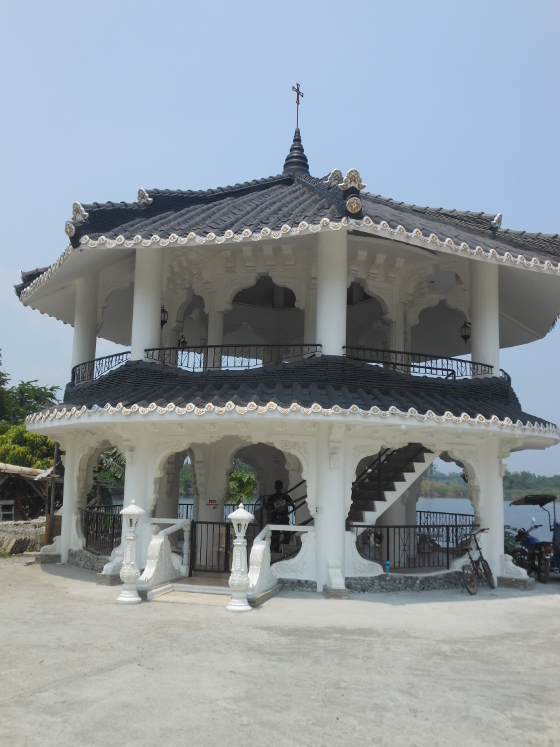 The entrance from the courtyard is at a black gate at the dead end of a street inside a crowded Lolomboy community of rural houses, and the Shrine compound itself overlooks a river to its right side facing the courtyard. There is another gate, at the side of the compound that leads into the church area, and this may be an alternate access point for locals to hear holy mass during Sundays, but it was closed off during the weekday that we visited the Korean Catholic Shrine. 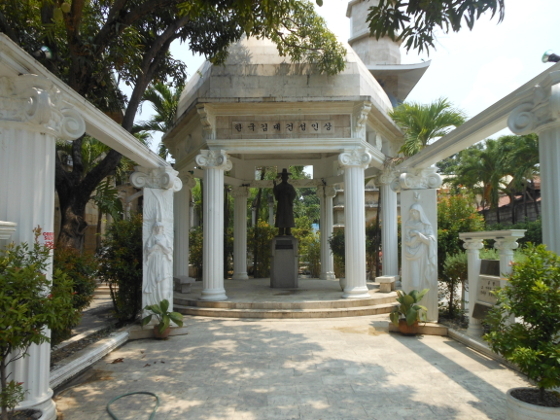 the back of the statue shrine. 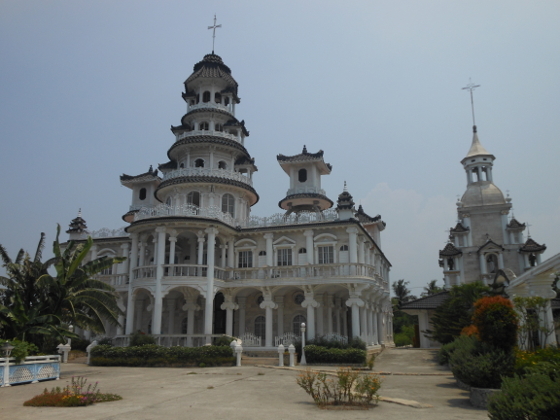 The only worry for solo or groups that go to Saint Andrew Kim shrine is that sometimes schools and weddings have photoshoot opportunities scheduled at the shrine and these are pre-registered and scheduled in advance, so if you go there on such a day, you get crowds of rowdy kids jostling for selfie opportunities or wedding photoshoots by young couples wanting a precious setting and memento of their pre-nuptial event. As a writers retreat, the best time to go would be during non-Catholic holiday season or during the school season. 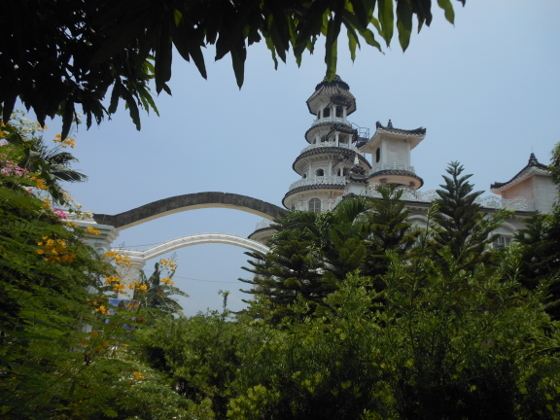 You can hang around the church and meditate, or write your notes in solace outside in the gazebo if they open it to the public or just hang around the bamboo bower walkway with a notebook in hand, scribbling away at your short story or chapter in-the-works. If you stay from 12:00PM to 2:00PM, and hang around until they close at 4:00PM, that's 6 hours of me time if you visit Saint Andrews shrine to write or read your favorite book there. Writing is a form of meditation for most people too, and you can pray for inspiration so that you find all the perfect sentences to string together. 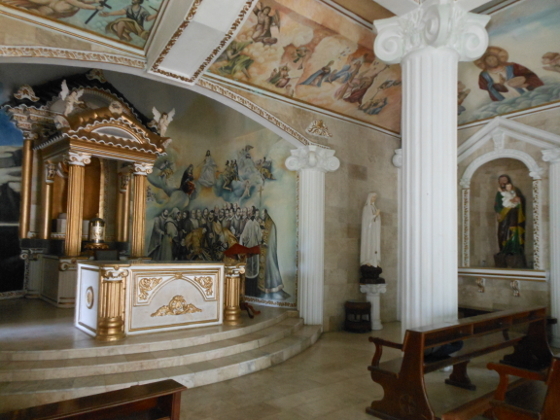 If you want to avoid crowds, visit on a weekday instead and pass on a Sunday visit or when Friday Mass or special Catholic holidays are on so that you don't encounter the throngs of devotees and regular patrons of the church. 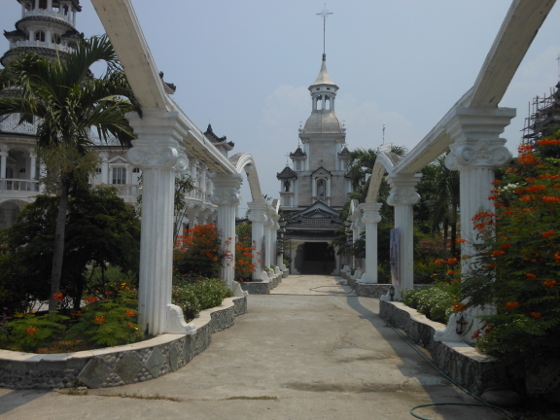 In the provinces, like Bocaue, people are more wont to visit a church for any Mass celebration, like city people visit a mall just to while away an afternoon, so your private meditation and writing or reading time might be not as quiet or solitary. 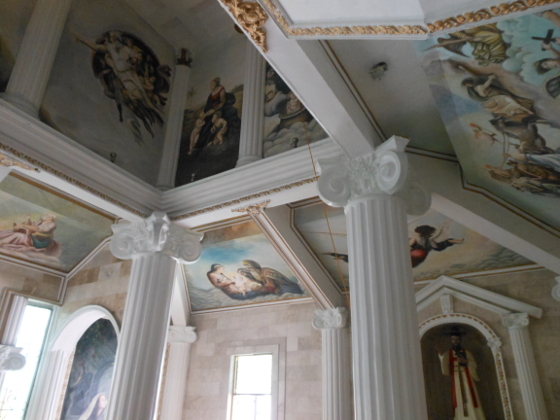 of the St Andrew Kim Taegon chapel. 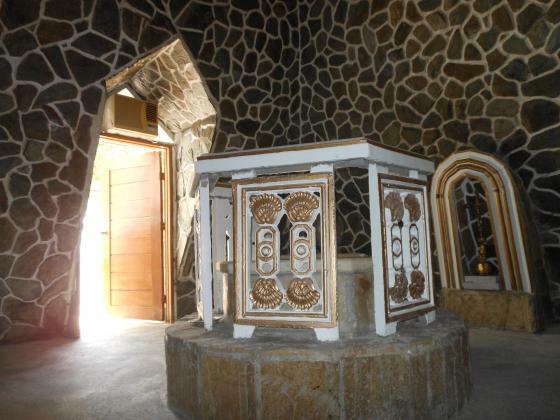 dedicated chapel of the shrine. 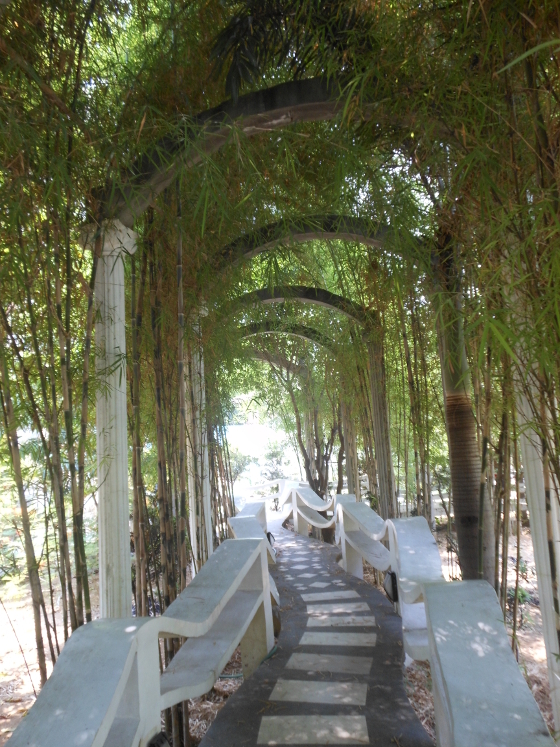 The most accessible part of the temple shrine complex may be the bamboo bower walkways around the chapel going to the meditation room, leading to the church and back to the main building. 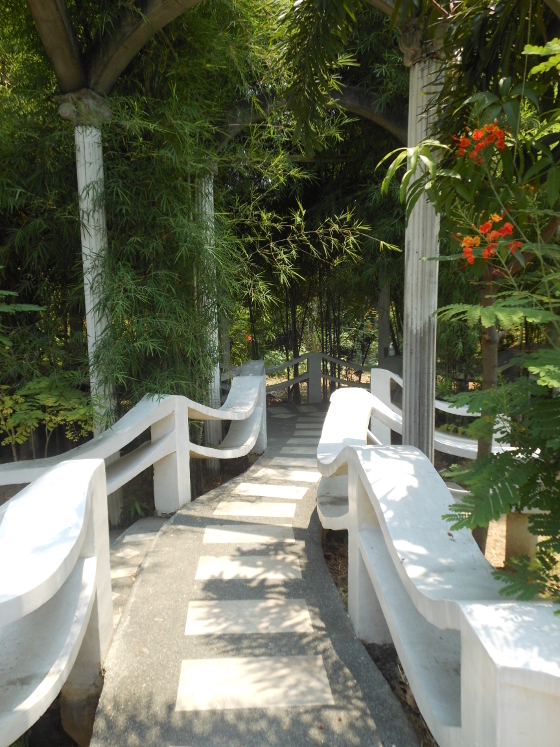 The walkway bower has plenty of small-leafed bamboo covering the walks and shielding the place from direct sunlight. The bamboo also cools down the area as air filter and carbon sink. 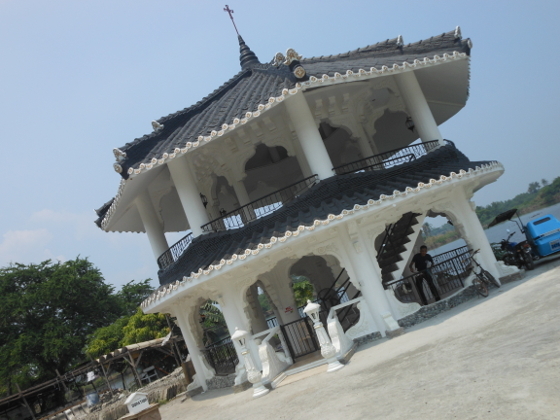 The plants should provide plenty of fresh air should the river next to the shrine start to smell dank. This just may be the most perfect place to plop down and write. If the nuns or the head priest caretaker-overseer of the temple complex ever allows fiction writer rereats to be held at the Saint Andrew Kim shrine since they do have rooms in their barracks that they might assign for such a purpose, and it would be one of the main attractions of the place and plenty of young writer groupies as well as solo backpackers may choose to spend good money for a 2-night retreat stay for writers. Of course, there should be an honorable middle-ground where visiting writers won't be allowed to be rowdy or bring alcoholic beverages like they do on most writer group sessions. 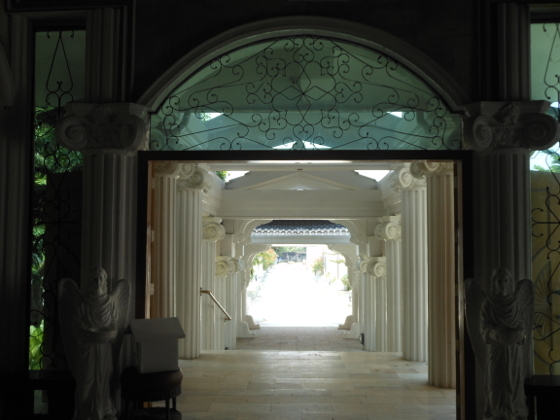 Just a quiet place for quiet writers to write the good stuff will be a fair deal for meditation-spiritual retreat options. In 2015, the Korea Times reported that 3 out of 10 Korean adults no longer were into the habit of reading books and that the current leader of South Korea, Park Geun-hye, was pushing for a creative economy that promoted Korean culture. Reading is a very important activity and leisure activity for Koreans and in that context, writing stories allows reader fans to engage in making good reading available. We thinks this might be a good reason for allowing writer retreats everywhere and promoting them too as much as possible. fill out your journal or you can bring a folding chair. 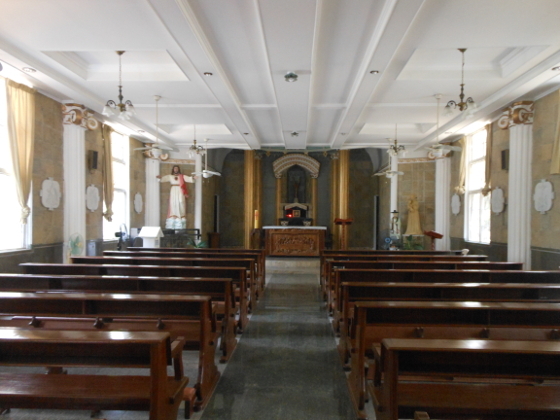 Like all shrines that are Eastern-inspired, the Saint Andrew Kim shrine has a meditation room separate from the Chapel and the Church as well as from the main building itself. 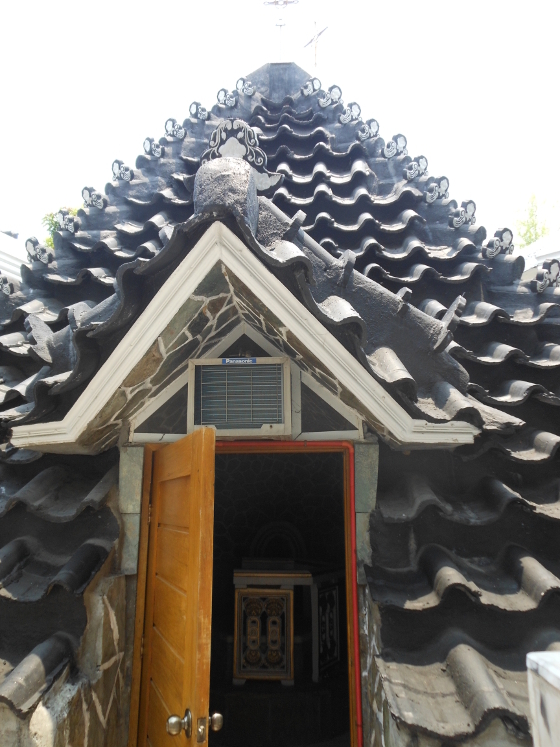 It is a pyramid-shaped, stone structure with tegula-style pagoda tiles that houses a rather compact prayer-room around a tabernacle-like seat for kneeling prayers, in the way Easter Asians pray, even as Catholics. 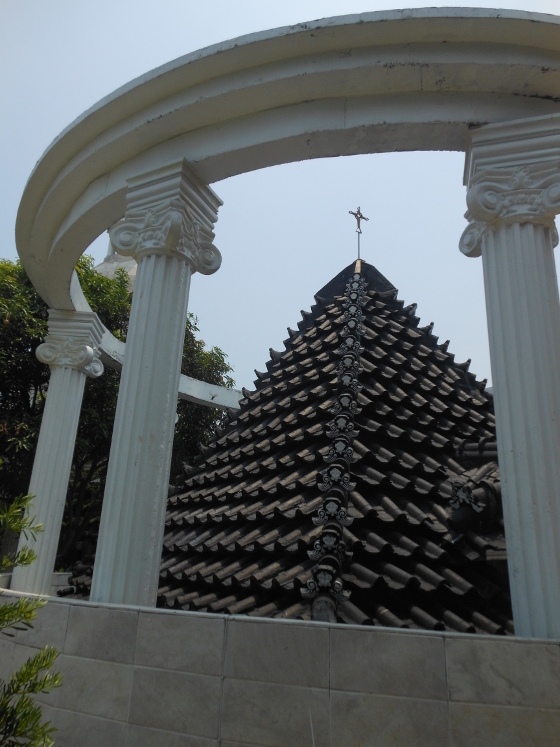 The pyramid prayer-meditation room is air-conditioned and has electric lights inside, but may only be assigned for clerical or missionary use. 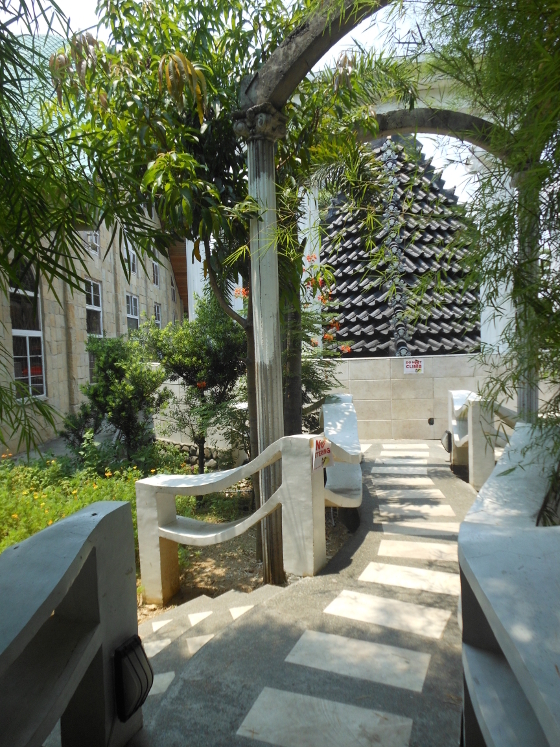 Walkway to the meditation shrine, pyramid building. Overall, the Saint Andrew Kim Taegon shrine (to the Korean Saint who visited the Philippines) is a gorgeous place to visit for meditation, and possibly a future writer's retreat if the nuns allow it on the premises--as long as you're not inside the chapel or church, but inside the grounds and just meditating while writing on your journal. If they officially open the Gazebo in the parking lot as a place for meditation for public visitors, that is another place where you can chill for 6-hours and read a fat novel or write a short story all day long. 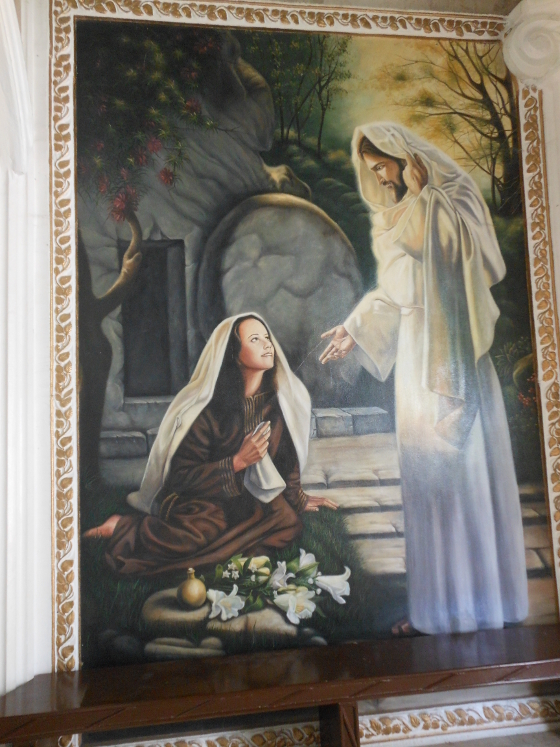 Hopefully, if people do go there for a writers retreat, the nuns will be good enough not to shoo groups or individuals who visit for both meditating or writing. 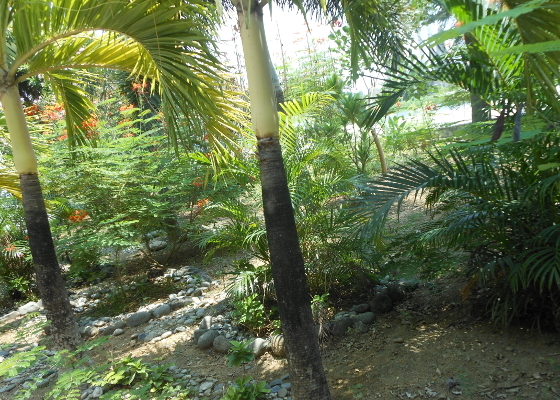 The place is also an amazing, future, sustainable, housing complex, with all those fruit-brearing trees planted around the buildings and the malunggay saplings waiting to grow out, plus a herb garden near the barracks. 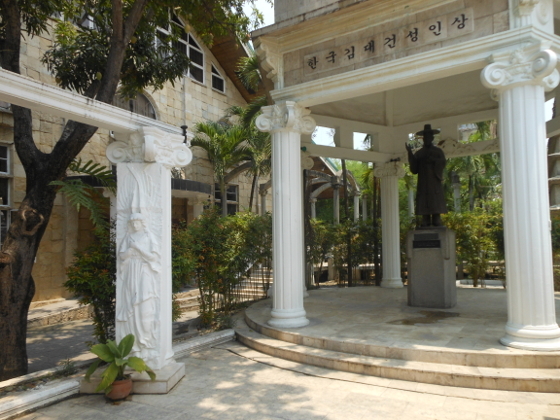 The shrine is a quiet magnet for attracting devotees to both the Korean Catholic saint and to local Catholics, who want a nice place to visit in their own country that has everything popular religious sites overseas offer to the faithful. we checked the place out. The tropical forest treeline alongside the shrine buildings. malunggay tree saplings and other herbs planted by the nuns. From McArthur Highway, Bocaue, Bulacan is easily accessible via public jeepney from the Monumento terminal in Caloocan City, a ride to Lolomboy town costs P25 only. 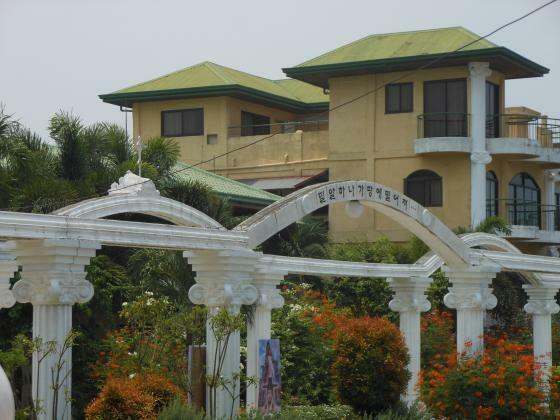 You will find the town as a great escape from the urban nightmare of Metro Manila, especially if you are visiting the newly constructed Saint Andrew Kim Shrine that sits just next to the river, inside a compound that is within a rural community, just off the McDonald's restaurant on the highway. You ask the driver to drop you off at the McDonald's in Lolomboy town and your landmarks along the trip are Valenzuela city park as the midpoint marker, the sprawling SM Marilao supermall as 80 percent almost there, and McDonald's on the left side of the highway with Jollibee on the right side of the highway. 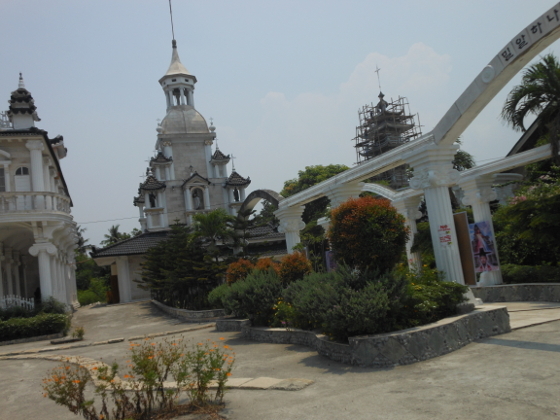 At the corner street beside the McDonald's you can ask the tricycles parked to bring you to the St Andrew Kim shrine, and it will cost you P20 if they go in from the "pila," if you are traveling solo, or P10 each if you go as a group of friends. 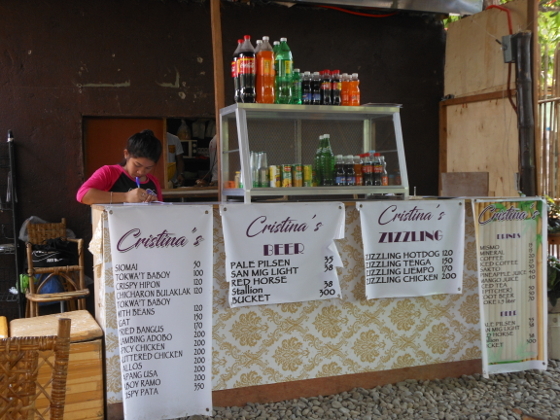 short orders and price list. 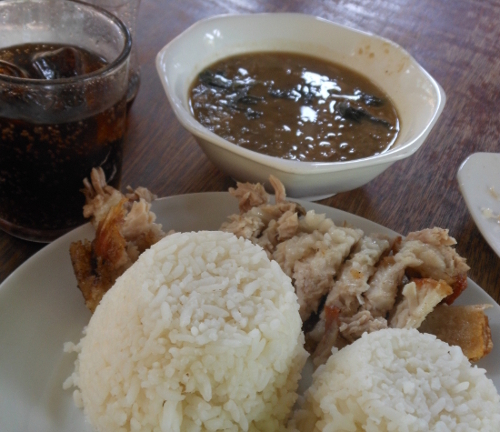 pardon the low light, the food tastes like homemade, freshly-cooked ulam. 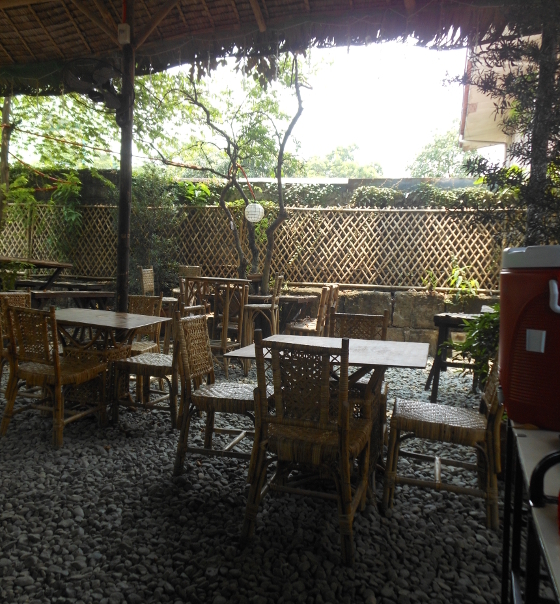 The seating area is 3x as large as this, with a long table on the opposite side.